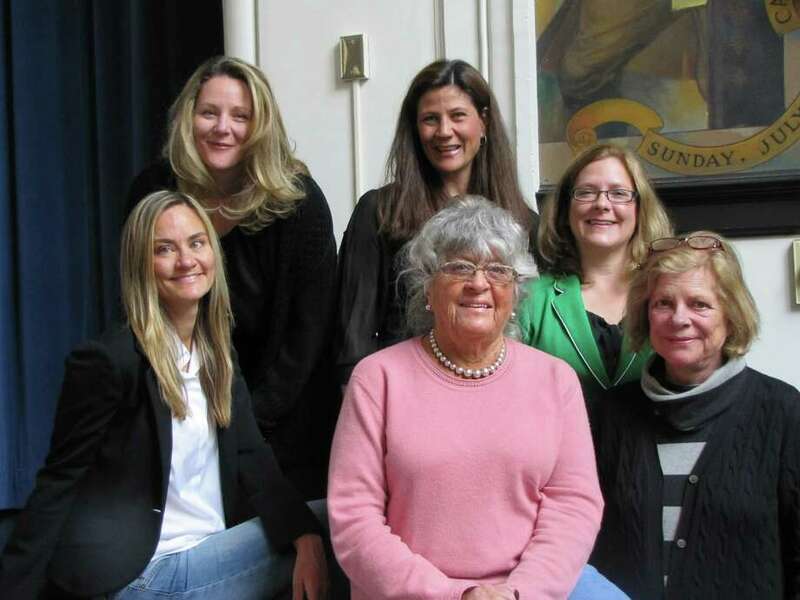 For more than six months, eight Darien women -- also known as the producers and director of the Darien Arts Center's fundraiser Darien's Got Talent -- have been working nonstop with their team of volunteers in preparation for the live finals competition June 29. The finals will take place at Darien High School at 7:30 p.m. Prizes are $1,500 for first place, $750 for second and $500 for third. The team includes executive producers Patty Mozingo and Catherine McNear and producers Mary Crawford, Anne Wright, Pat Atkin, Carol Glassmeyer, Pam Heckel and Cathy Thomas. Directing the production is Carole Claps and Chris Coogan is the music director. The finalists in the event are Marin Amyotte, Jordan Cassetta, Emmanuel Couloucoundis, James Crafford, Jordan Darefsky, Katherine deHaas, Andrew Denicola, Matt Evans, Ava Ewing, Taylor Felt, Shannon Flaherty, Katharine Glassmeyer, Oliver Hare, Thomas Ice, Chris Jansen, Eli Koskoff, Mira Lena, Antonia Packard, Harold J. Sauer, Johnny Shea, Haley Strom, Henry Thomas, William Trautmann, Jeanette Vecchione-Donatti, Ming Wu, Grey Chandler Zeigler and Chloe Zhou. Darien's Got Talent raises funds for DAC, a nonprofit organization that offers educational programming in dance, visual arts, theater and music, as well as special events and live theater productions by DAC Stage. Proceeds from the event, as well as private donations, grants, tuition fees and ticket sales, go toward funding those creative endeavors and help continue the ongoing efforts of the DAC. The sponsors include Baywater Properties; Bank of America; Grove Street Plaza; Halstead Property; Mercedes-Benz of Greenwich; Nielsen's; Dr. David Osherow, orthodontist; Palmer's Market; SBD Kitchens LLC; and Andrew Stefanou Salon & Spa. Tickets are $35 for adults and $20 for students and children. Premium seating is $125 and includes the pre-event reception. Tickets can only be purchased at arts.darien.org. For additional information, call 203-655-8683.